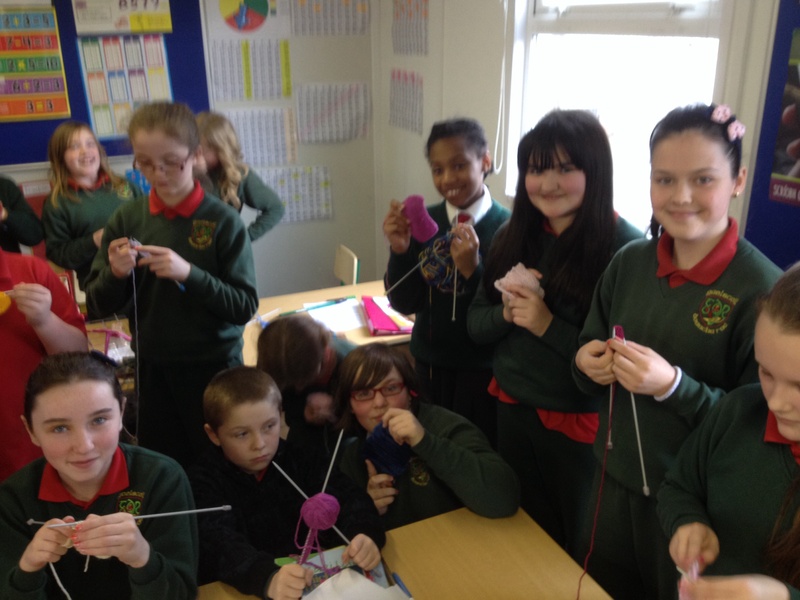 To promote reading in Gaelscoil Donncha Rua, pupils from second to sixth class are taking part in the Accelerated Reader Programme. 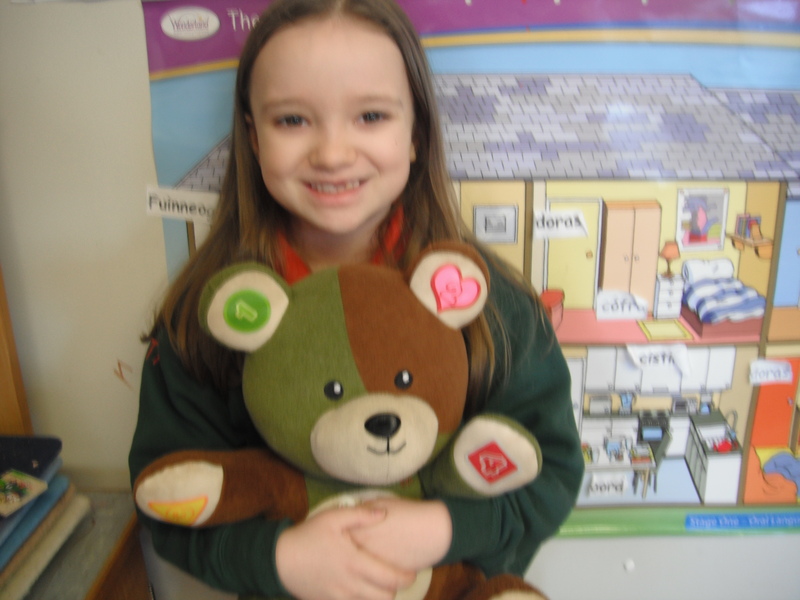 Pupils read books at their appropriate reading level, and then take quizzes online which help motivate the pupils as well as monitoring their reading performance. 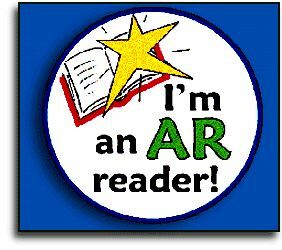 Each book is assigned a book level and an amount of points that the pupil can obtain by passing a quiz based on that book. 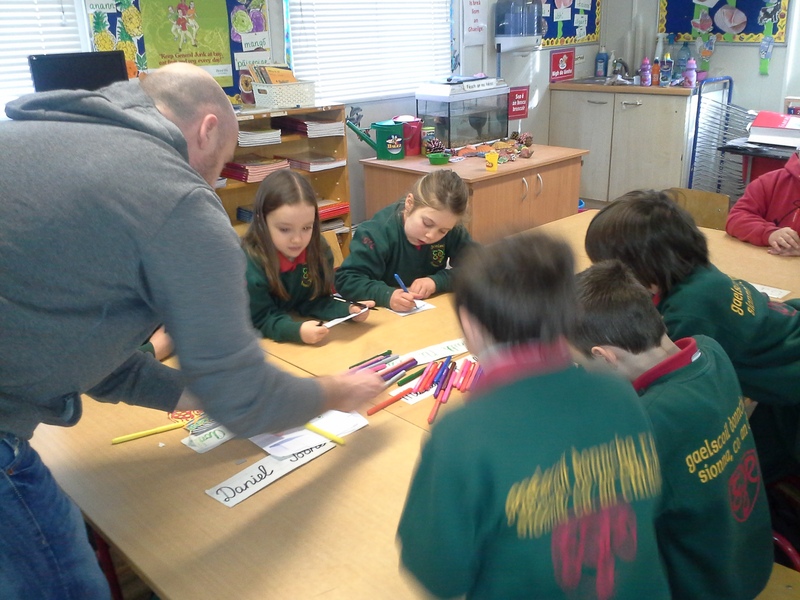 Each pupil has been given a unique password and user name by their teacher, which they use to log into the Accelerated Reader website, where they can take the quizzes. 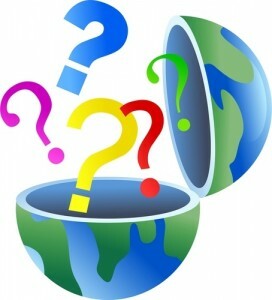 The target for passing a quiz is a score of 60%. 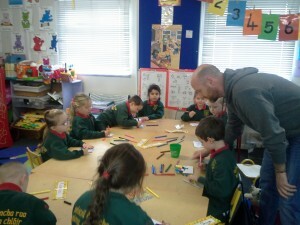 Throughout the course of the year, teachers and parents can easily monitor the progress a pupil is making. 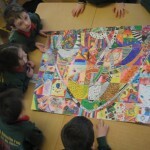 Our Local Library is currently organising books to facilitate this programme. They will colour code all the books that we will use and categorize them into the appropriate reading age. 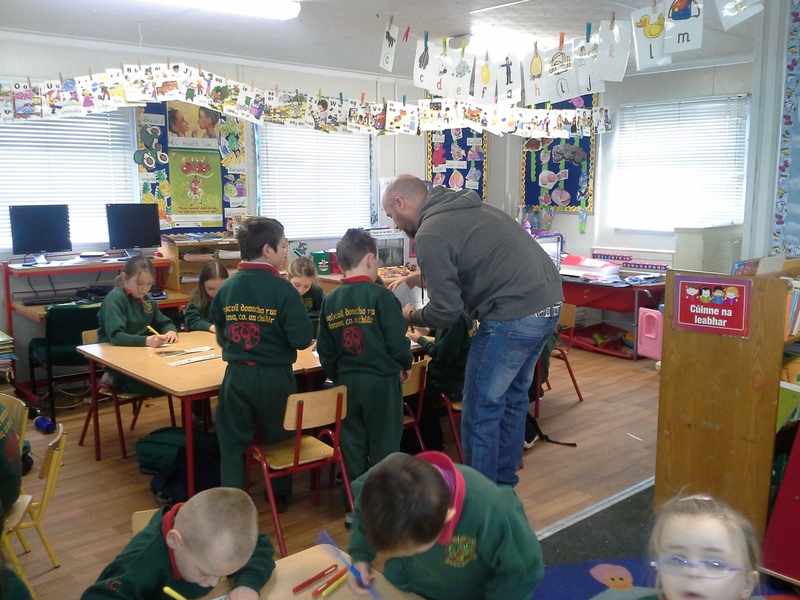 We are extremely gratetful for all the libraians help and dedication to this programme and our school is delighted to work closely with our local library to encouage and promote a love of books and the joy of reading. We are delighted to have our new Parents Council up and running. The Parents Association endeavours to work in close collaboration with the Principal, staff and Board of Management, to create a strong partnership between home and school. 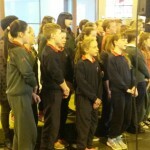 As our first project the Parents Council will register with An Taisce to take part in National Spring Clean (1st-30th April) Ireland’s premier anti-litter programme(www.nationalspringclean.org). We hope that all parents and guardians will help out with this event, more details will follow in March nuacht litir. Ár mbuíochas chuig Kay Glody agus a cáirde, they have worked really hard with the senior classes at knitting. 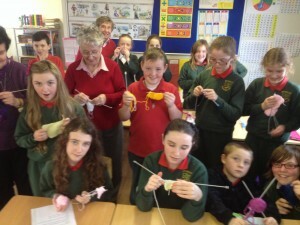 They presented each child with a little knitted chicken egg cover as a surprise on the last day. 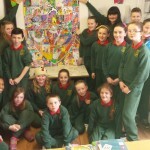 Bhí na páistí go léir an sásta leo. 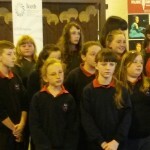 Tosóidh an iománaíocht ar an gCéadaoin 25ú lá Feabhra agus gach Céadaoin ar feadh sé seachtaine. The GAA will start hurling skills training on Wednesday the 25th of February for all classes from Naíonáin to Rang a 6. We will use the school playground for training (weather permitting) however if the weather is bad we will use the hall in the leisure centre at a cost of €1 per week. 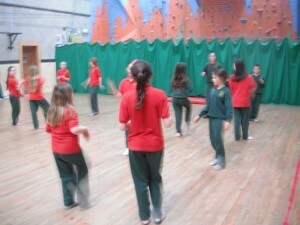 All classes are continuing to make a great effort and this week rg. 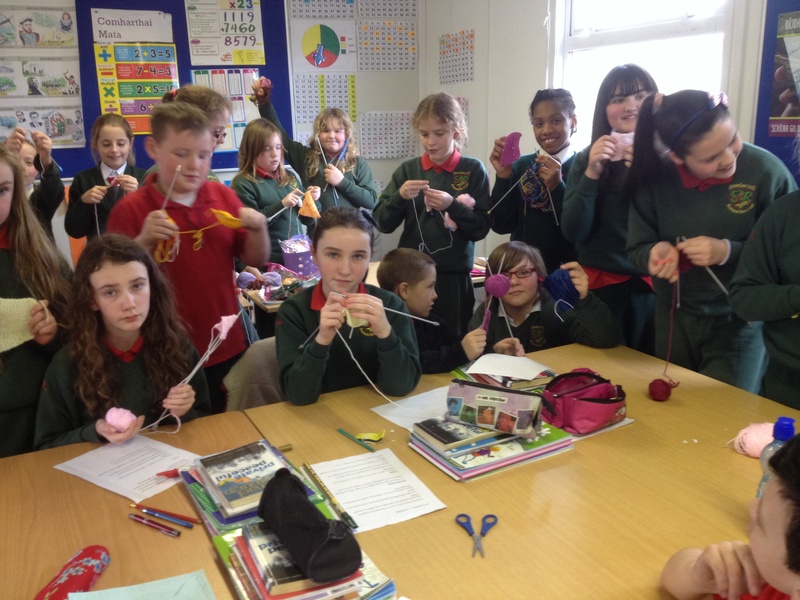 4,5,+ 6 won the weekly school trophy for our ‘labhairt na Gaeilge’ contest where children receive discs at break and lunch time when heard speaking ‘as gaeilge’. 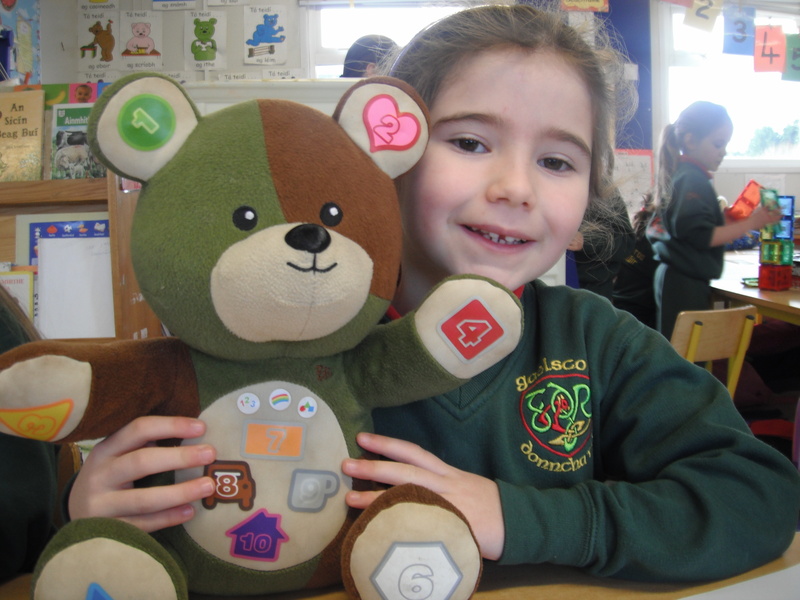 The class with the most discs collected at the end of the week receive the trophy and a special overall prize will go to the class that wins the most times by the end of term. 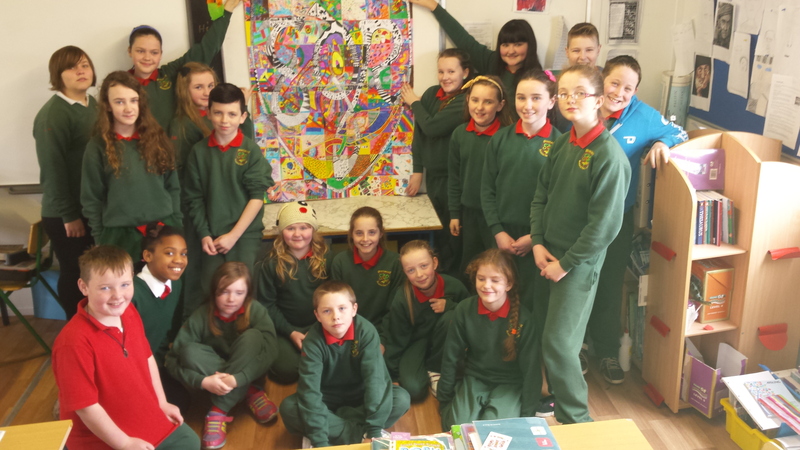 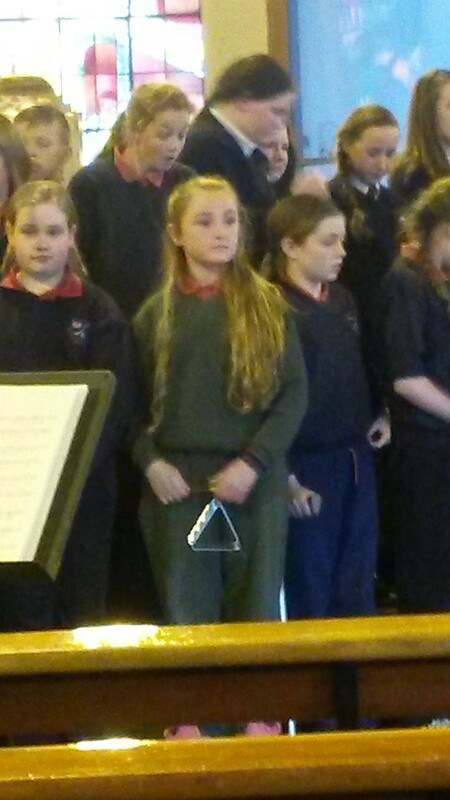 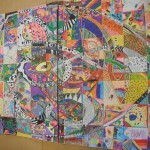 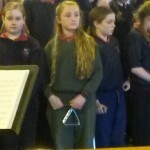 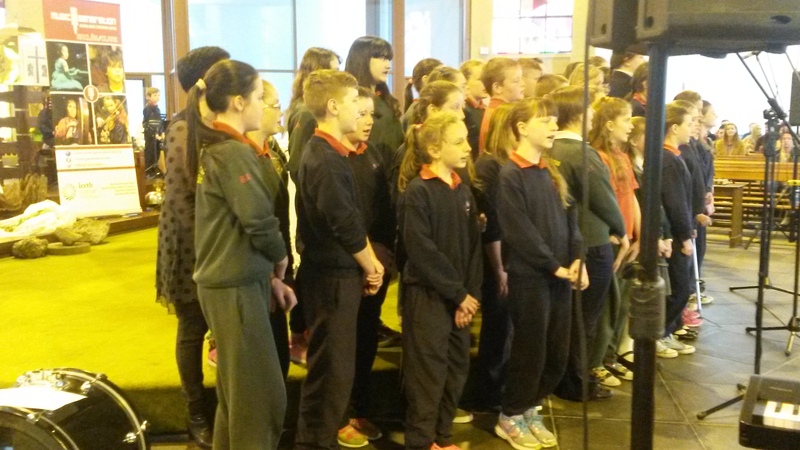 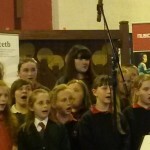 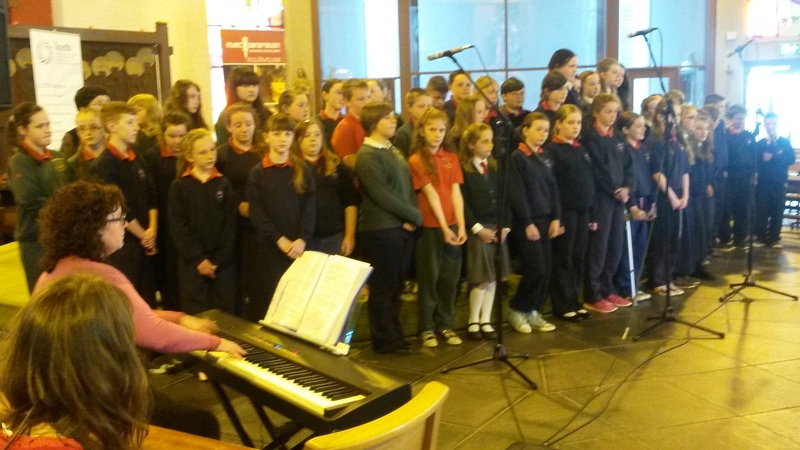 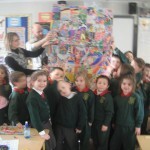 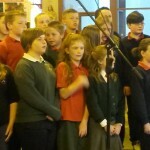 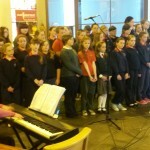 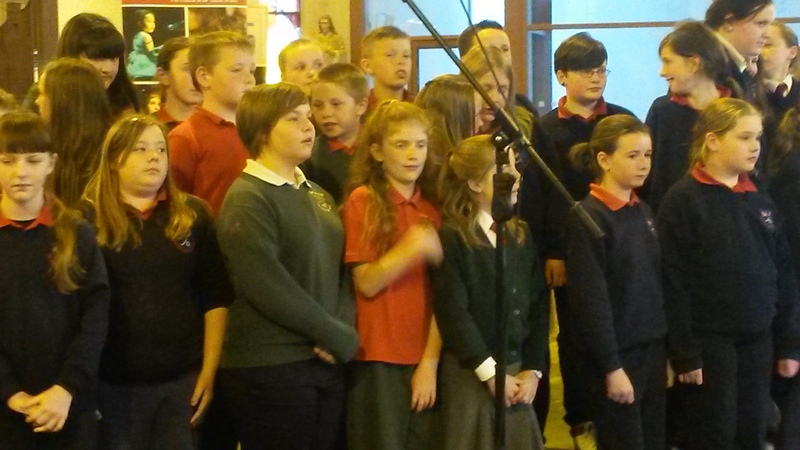 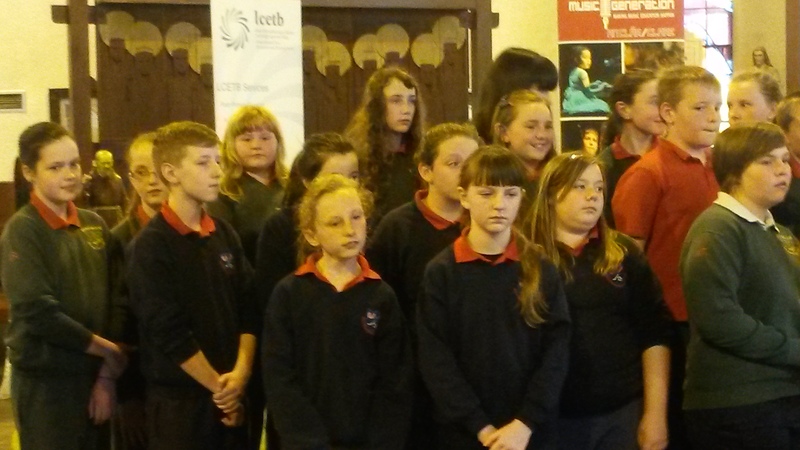 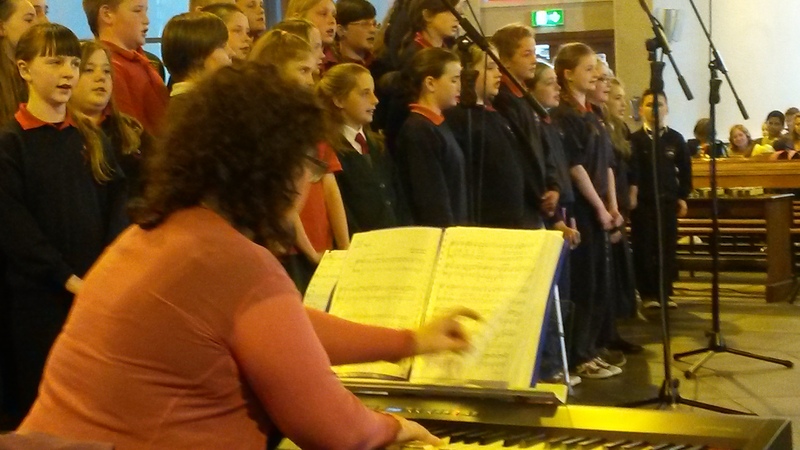 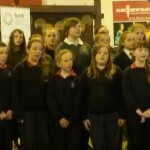 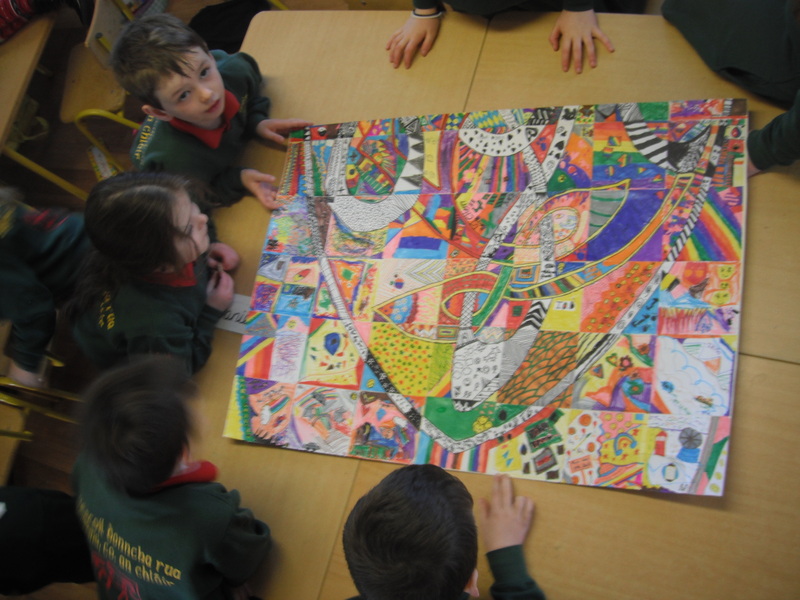 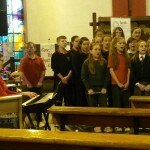 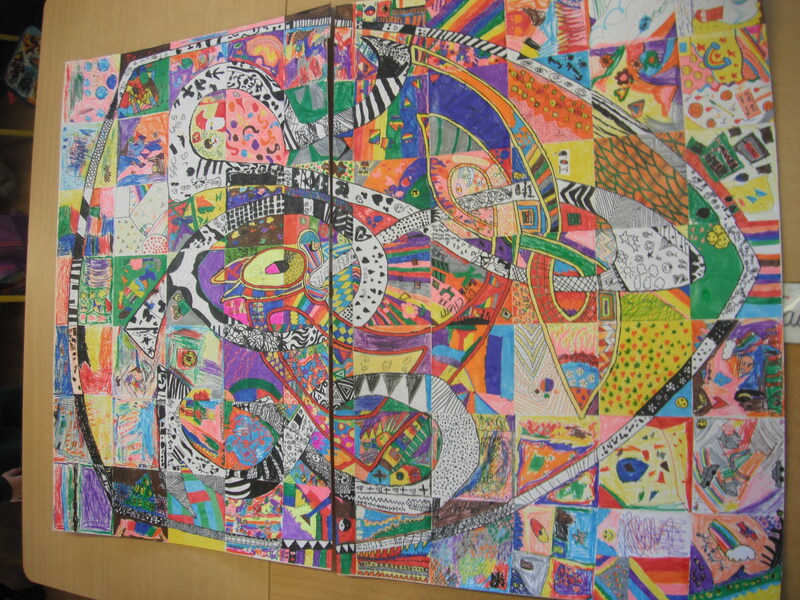 Our school is taking part in the Artists in the School Scheme that is run by The Arts Office of Clare County Council. 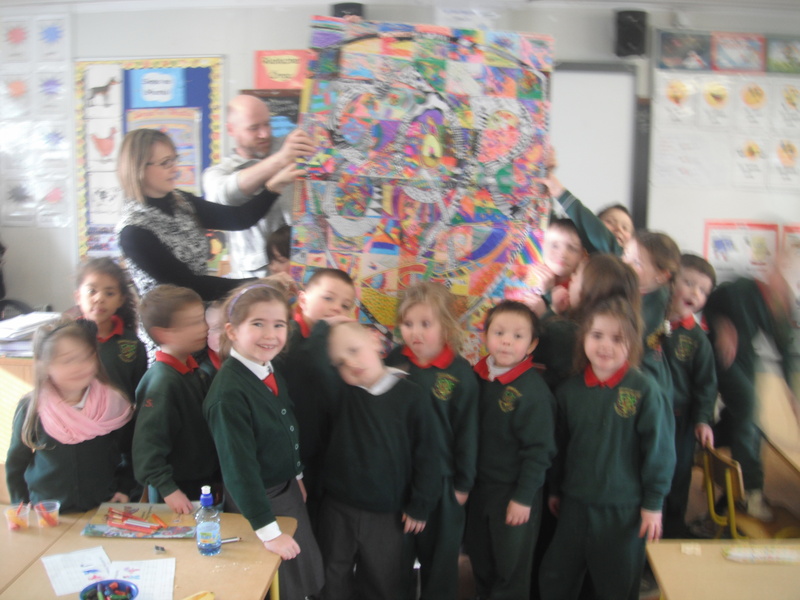 We are delighted to have a professional Artist Mark Cronin coming in on Friday the 27th to deliver a specific workshop to each class. 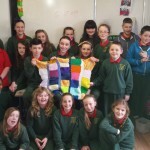 Molaimid na páistí rang 4,5, agus 6 a glach páirt i dtráth na gceist i scoil Naomh Tóla ar an Déardaoin 12ú Feabhra.D’éirigh go maith leo. Six of our pupils represented the school on Thursday the 12th of February in the annual Shannon schools table quiz which is held in St.Tola’s N.S. 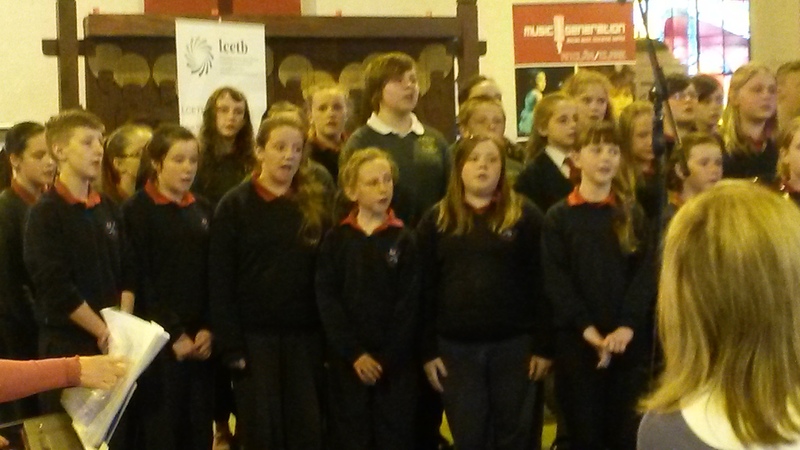 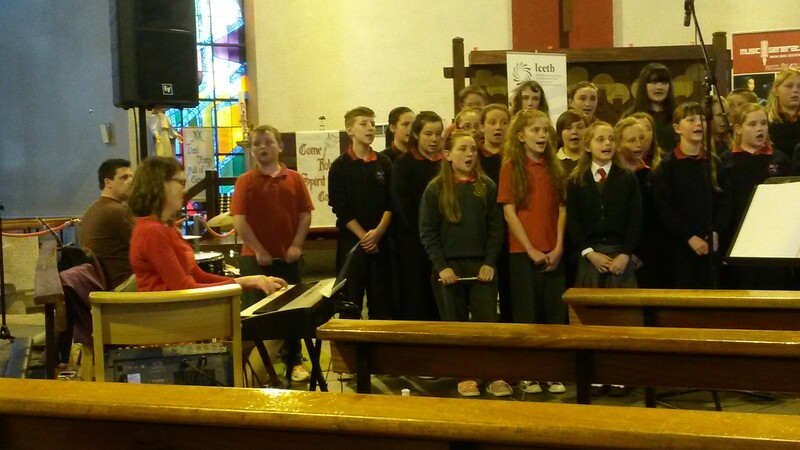 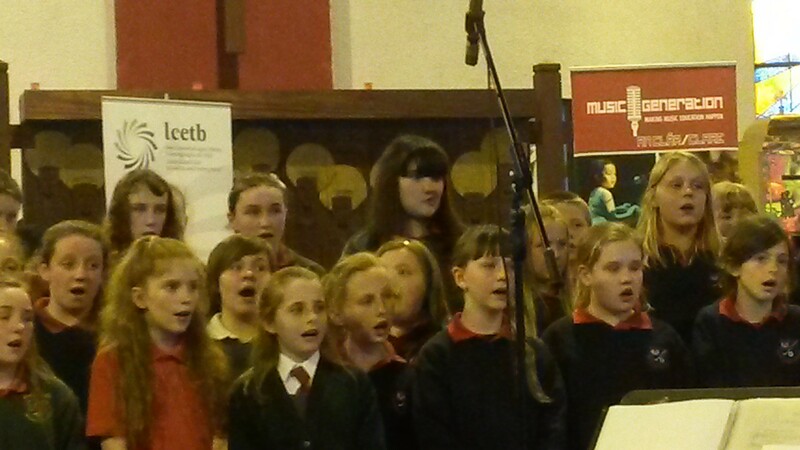 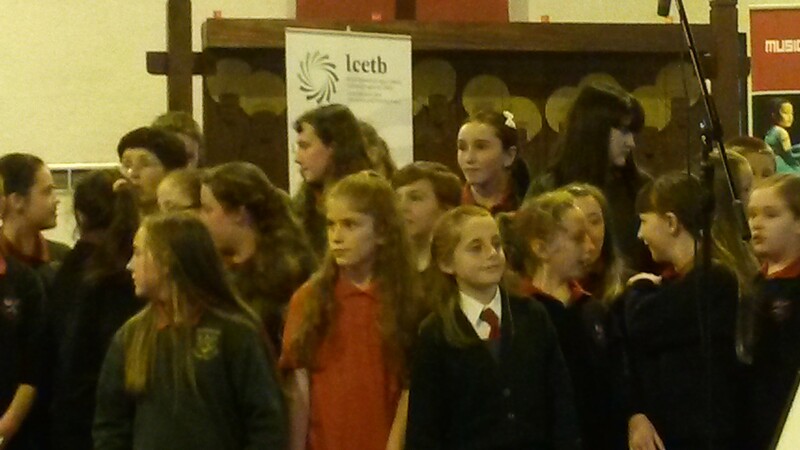 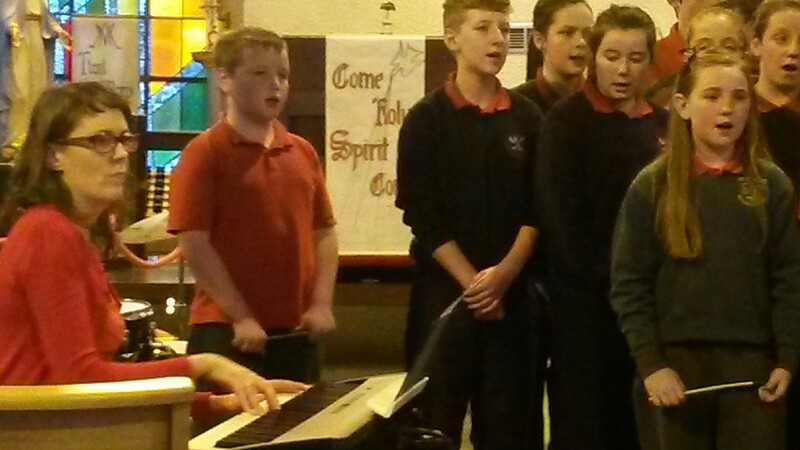 They did well on the evening, maith sibh! 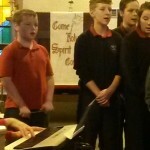 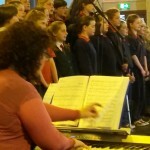 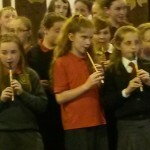 D’éirigh thar barr leis an damhsa céilí. 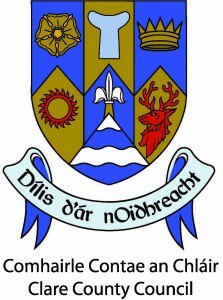 Bhaineamar go léir an-taitneamh as. 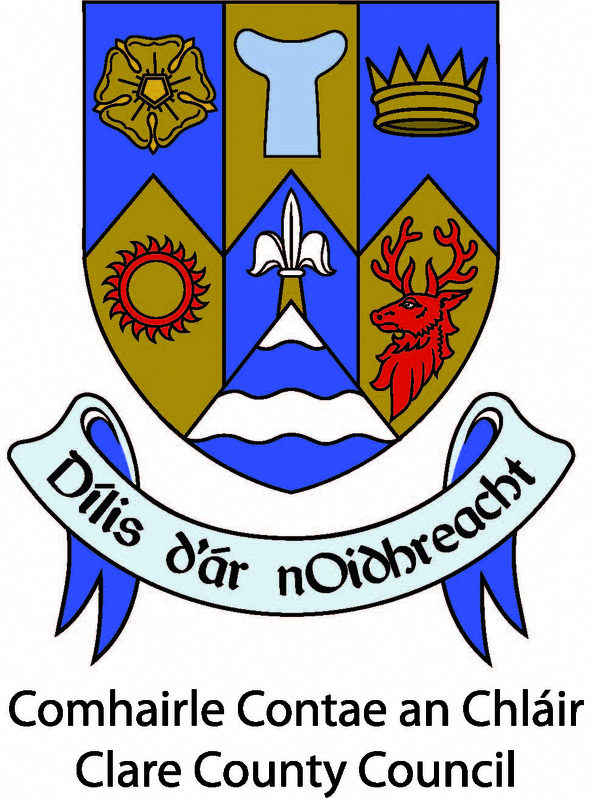 Táimid an- bhuíoch do Mairéad Hackett. 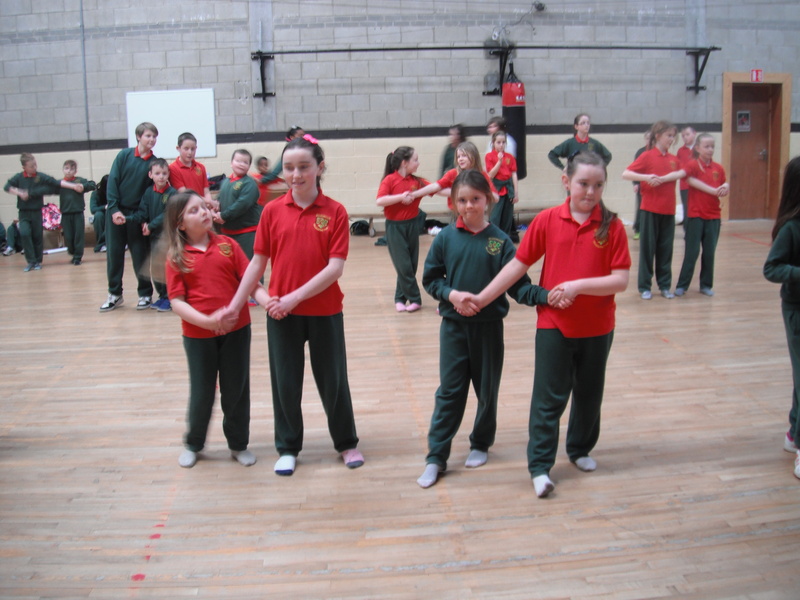 A big thank you to Mairéad Hackett for all the dance lessons. 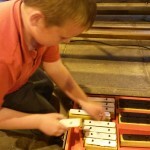 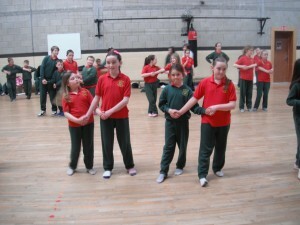 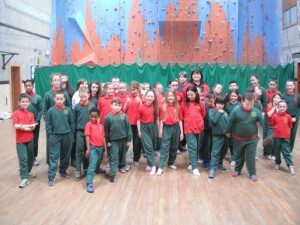 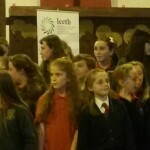 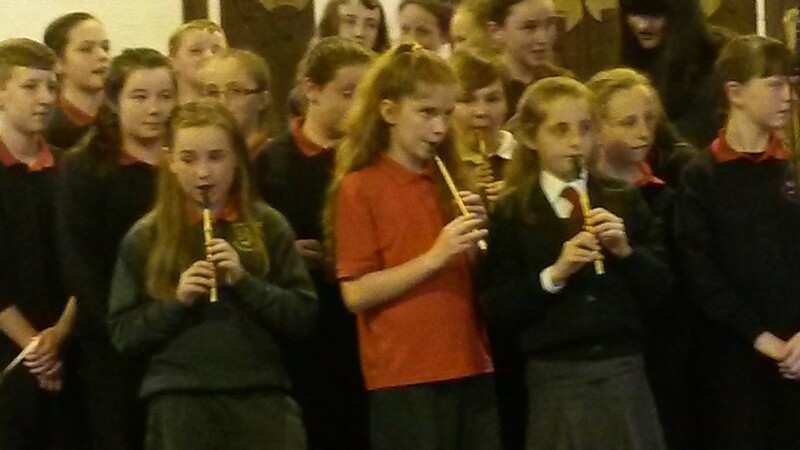 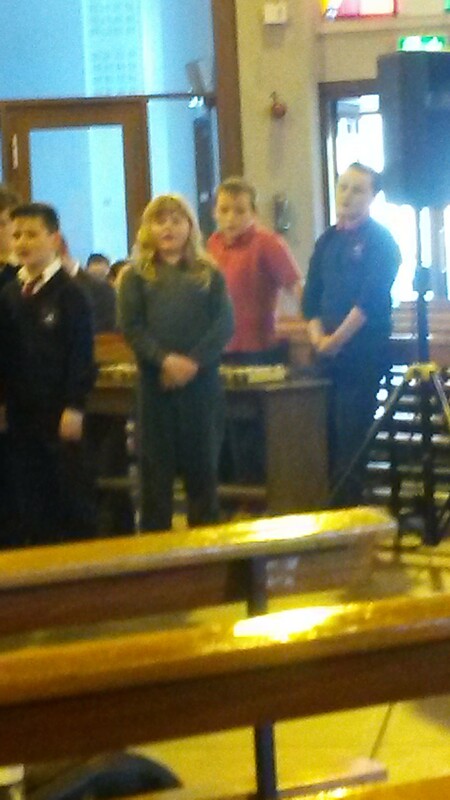 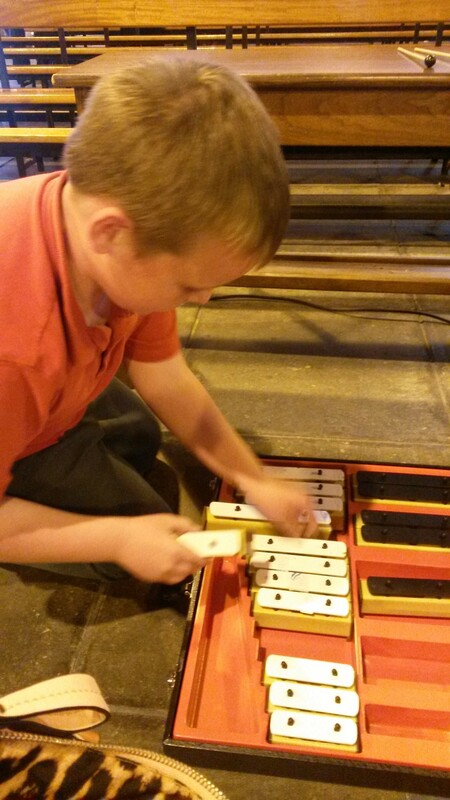 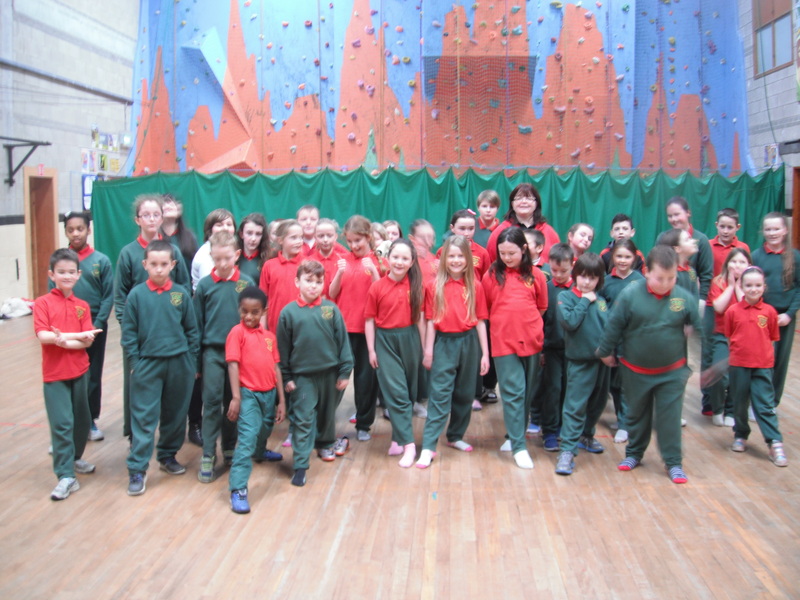 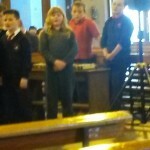 We all thoroughly enjoyed the music, had lots of fun and learnt lots of new dances. 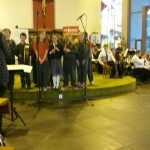 Tá bia folláin á n’ithe ag gach éinne na laethanta seo idir úlla, bananaí, piobair, risíní, cúcamar agus oráistí. 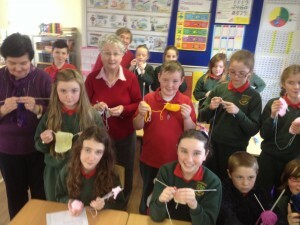 Tá na pástí ag blaiseadh an bhia folláin seo gach lá ar scoil. Maith sibh, lean oraibh! 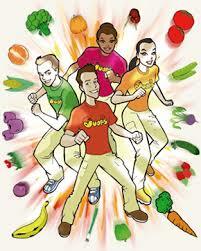 All the children have been eating fresh fruit and vegtetables courtesy of The Food Dudes all week in school. 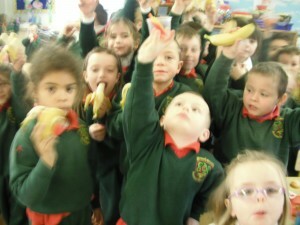 They have all been tasting and eating apples, bananas, pears, raisins, cucumber and oranges . Lots of rewards have been given out and there has been great excitement when the children get to watch The Food Dudes DVD. Well done to everyone for their participation and also to our fantastic secretary Regina who is organising the food every morning for every class, Go raibh míle Gina! 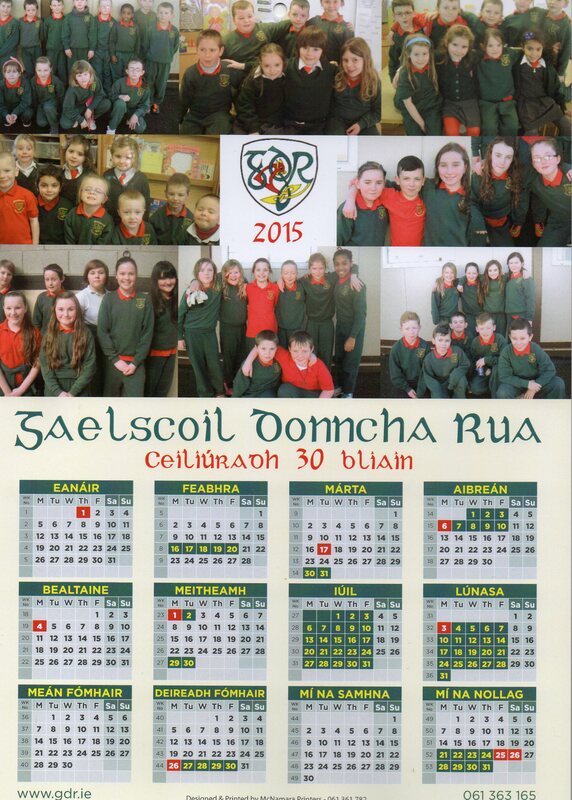 School calendars are €4 each and can still be ordered from Regina in the office. 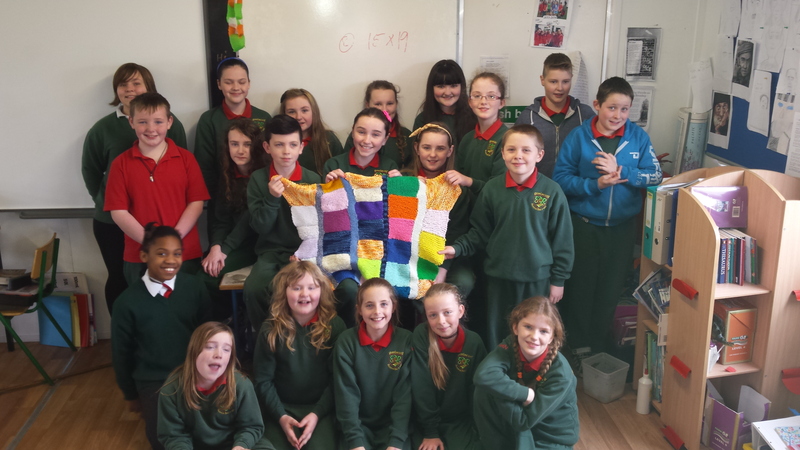 To date we have raised just over €200, Go raibh míle maith agaibh go léir as bhur tacaíocht.